The use of psychometrics by coaches is now fairly commonplace. In a survey by McDowall and Smewing (2009) exploring the use of psychometrics in coaching, eighty percent of the coaches in their sample reported using psychometrics. McDowall and Smewing found that the MBTI® instrument (Briggs Myers & Briggs, 1995) was, by far, the tool most used in coaching, with 49% of the sample reporting that they use it. From the available literature, the typical use of the MBTI assessment in coaching as well as in other interventions tends to concentrate on recognizing one’s preferences and developing an awareness of the opposites. While these suggested applications are extremely useful and offer a well grounded introduction to psychological type for a client, Jung’s original theory of typology may provide additional information that would offer the opportunity to employ other applications of type. Myers and Briggs’ version of Jung’s theory is often criticized for being over-simplified and taking too much of a positive focus (e.g., Spoto, 1995; Quenk, 2002). Jung’s work came from the psychodynamic paradigm, and therefore his theory of psychological types has, as its core, the idea of the dynamics of opposites. In the Myers-Briggs model, the ‘type dynamics’ aspect of the theory describes, in a simplified form, how the preferences combine together—how they operate and are developed in a particular hierarchical order. Most type practitioners will be aware of this; however, few practitioners use the ‘type dynamics’ aspects of his theory in their practice with clients (Quenk, 2002; Myers, McCaulley, Quenk, Hammer & Mitchell, 2009). Quenk states: “The dynamic character of type theory is commonly overlooked by people new to typology and the MBTI personality inventory. This leads to an often simplistic, categorical approach to the sixteen types.” She adds that, “In ignoring the dynamic interactions critical to the Jung-Myers theory, both laypeople and professionals miss out on the theory’s greatest contribution to the explanation and prediction of healthy personality” (2002, p. 19). In Jung’s theory, the tensions and conflicts of the dynamics of type are absolutely central, and the theory includes the notion that one’s non-preferred styles and other aspects of the psyche may have an ever-present influence on the personality. According to Jung, psychological type is produced by the competing energies of the psyche and, in particular, the principles of equivalence (opposing forces trying to obtain balance) and entropy (energy invested in one aspect creating equal potential energy in its opposite). Jung believed that, although an individual will have predominant or preferred psychological functions, the opposite functions will attempt to come to the fore, thus creating constant dynamics and tensions within the individual, and that personal development comes from acknowledging, exploring, and managing these tensions. In relation to this, Spoto (1995) criticizes the Myers-Briggs model for being concerned with the problem of differences in its treatment of the preference pairs (i.e., how does one person differ from another), and neglecting the problem of opposites (i.e., how does one’s type work within oneself), thus losing some of “the heat and passion” of Jung’s original work (p. 7). He goes on to add, “At the very least one would suspect that he [Jung] would have warned us about making too much of typology outside the context and intentions of his work as a whole” (p. 10). Fortunately, Spoto is not implying that we should be considering typology in the context of Jung’s entire life’s work and theories, but just placing it in the context of Jung’s theory of the psyche. The following section will aim to place psychological type theory back into the Jungian concept of the psyche, and explain how different aspects of the psyche can influence one’s psychological type. The psyche, according to Jungian psychology, is the total personality through which psychic energy flows continuously in various directions—inner to outer, conscious to unconscious. The dynamic movement of this energy is an outcome of conflicts and tensions present within the psyche. The psyche, although not a rigid structure, has several key components: the ego, the persona, the shadow, the self, and the conscious and unconscious areas, including the collective unconscious. Psychological type, per se, only represents a small part of the total psyche; however, the other parts of the psyche will have an influence on type in terms of its development, dynamics, and tensions. The diagram below (figure 1) is a representation of Jung’s map of the psyche, compiled from a range of available diagrams from the literature (e.g., Stein, 2004; Jacobi, 1973; Spoto, 1995). There is not sufficient scope in this particular study to fully explore Jung’s concept of the psyche, so the following is a brief description of the key features and an explanation of how they can add to the exploration of psychological type. To describe the use of the Myers-Briggs theory of psychological type set into the Jungian context, the term ‘Jung-Myers’ model will be used, as suggested by Quenk (2002). Unfortunately there can be no doubt that man is, on the whole, less good than he imagines himself or wants to be. Everyone carries a shadow, and the less it is embodied in the individual’s conscious life, the blacker and denser it is. If an inferiority is conscious, one always has a chance to correct it (1970, p.14). Part of the ego, and the part that faces the outer world, is the persona. 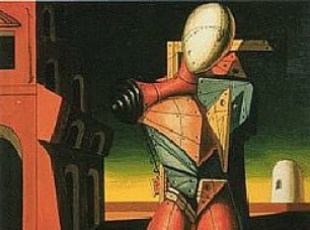 The word persona was used by Jung to describe the mask we wear in order to interact with others according to expectations, social convention, and inner motivations. The persona is an essential part of the personality for the individual’s integration with society as it will help the individual to adapt his or her personality to suit different environments. Thus a healthy persona will be an adaptation of the individual’s real personality. ‘Too little’ persona may result in a person being seen as a rebel or social misfit, and ‘too much’ can result in falseness, inauthenticity, poor personality development, and, ultimately, inner psychic conflict. Jacobi (1973) defines the interaction of the ego and persona as “a compromise between the demands of the environment and the inner structural necessity of the individual” (p. 28), and the persona itself as a ‘cloak around the ego.’ From the point of view of type, a healthy persona should be representative of the individual’s preferences plus his or her individual personality traits. However, some people can be over-identified with the persona and experience inauthenticity. This identification with the persona can be due to habituation, social pressures, influences from childhood, defensiveness, or anything that has given the individual a message indicating that the character of the persona is a preferable way to be. [T]he shadow and the persona function in a compensatory way: the brighter the light, the darker the shadow. The more one identifies with the persona—which in effect is to deny that one has a shadow—the more trouble one will have with the unacknowledged ‘other side’ of the personality (p. 95). When working with psychological type, knowledge of the shadow and the tensions that can be created between the preferred and non-preferred styles can be essential in helping individuals to gain insight and self-awareness. Additionally, becoming aware of one’s projections can help personal development. As well as the personal unconscious, Jung suggested that we also have a collective unconscious, which, according to Jung, resides in the deep unconscious and is a store of memories and attitudes from our existence as humans. It consists of inherited instincts and archetypes that can often affect our beliefs, expectations, and behaviors. Jung describes it as “… a deposit of world processes embedded in the structure of the brain and the sympathetic nervous system [which] constitutes, in its totality, a sort of timeless and eternal world-image which counterbalances our conscious momentary picture of the world” (1981, p. 376). Some aspects of the collective unconscious may affect an individual’s personality and use of type, in that it contains archetypal images that can influence the development of the persona. So in a coaching situation, for example, a person who becomes a manager in a business may draw on his ‘archetypal image of a business manager’ (e.g., direct, efficient, emotionally detached, decisive, uncompromising, etc.) and create a persona based on this which may be unlike his or her true self. Our archetypal images may also cause us to predict others’ behaviors on the basis of very little information about them, or to stereotype people. If it has been believed hitherto that the human shadow was the source of all evil, it can now be ascertained on closer investigation that the unconscious man, that is, his shadow, does not consist only of morally reprehensible tendencies, but also displays a number of good qualities, such as normal instincts, appropriate reactions, realistic insights, creative impulses, etc. (Jung, 1978, par. 423). This unconscious potential is partly made up of aspects of ourselves that do not fit with our ego image, i.e., aspects that go against our type preferences and conscious ego. In summary, most of the aspects of the psyche are important in getting a deeper understanding of one’s psychological type and putting type into context. The workings of the psyche as a whole, the dynamics of the energies, the striving for balance and the effect of entropy can help us to explore the ‘problem of opposites’ within the individual as well as the ‘problem of differences’ between individuals as a key part of working with type, as emphasized by Spoto. Being aware of the Jung-Myers model of type adds more to the understanding of type dynamics, moving it further than merely the acknowledgement of a hierarchy of preferences; it enables one to explore the dynamic tensions between the individual’s psychological type and other aspects of the psyche. Standard use of psychological type theory focuses mainly on the conscious ego part of the psyche and on identifying an individual’s preferences. While this is a valuable first step to self-understanding and in certain circumstances a valid stopping point, there is a lot further that one can go in working with type, particularly in psychodynamic coaching. Psychological type is a good fit with psychodynamic coaching, not just because it emerged from Jung’s psychodynamic work and is underpinned by psychodynamic theory, but because working with psychological type in coaching is mainly about helping the client to gain insight. The term ‘psychodynamic’ comes from a combination of the Greek words psyche meaning mind or soul, and dynamis meaning strength or power. Neumann and Hirschhorn (1999) explain it as follows: “The operable psychological word for psychodynamic is ‘within’ … [Those who work with psychodynamics] study the activity of and the interrelation between various parts of an individual’s personality or psyche” (p. 684). Unlike most other coaching models, coaches working from the psychodynamic paradigm will attend to unconsciously motivated aspects of the client’s functioning, such as defense mechanisms, transference, anxieties and containment (Roberts & Brunning, 2008). In summary, psychodynamic coaching is an inductive method, as opposed to deductive; hypotheses are formed by the coach, often in consultation with the client, following the gathering of information. The psychodynamic theory is referenced in relation to these hypotheses. The coach, therefore, has a role within the process, as the coach’s own frameworks, biases, and projections can come in to play when they are making interpretations; this is countertransference. Using the Jung-Myers model of type, the coach can use psychological type theory to explore the inner tensions and unconscious motivations at work between the different parts of the psyche and the environment. Typically, coaches working psychodynamically may be reluctant to use psychometrics in their work; Kwiatkowski (2007) notes that for some coaches, particularly those who work from psychodynamic or person-centred paradigms, the idea of including external data in their coaching may sit uncomfortably. However he goes on to say that, even in psychodynamic coaching, personality instruments “can be helpful in understanding certain aspects of personality, and in structuring engagement, communication, and thinking with the client” (p. 154). The case study that follows aims to illustrate how a client’s presenting issue was addressed using the Jung-Myers model of psychological type within a systems-psychodynamic context. In order to demonstrate how the Jung-Myers model was used in addressing a client’s issue, one particular coaching session will be described and analyzed. Illustrative sections of the case will be reported and examined in detail. The client, Jennifer, is herself a coach and our coaching relationship began as part of a peer coaching arrangement during a coach training course. We also have a professional relationship outside the coaching relationship, one that involves frequent collaborative projects. Our peer coaching relationship has continued for 5 years. Sessions take place as required and are usually 3-5 times per year. As our sessions are coaching rather than therapy and are not continuous but are held as the need arises in relation to a particular emergent issue, the boundaries required in therapeutic sessions are less applicable, and this is an acceptable condition for psychodynamic coaching (Roberts & Brunning, in Palmer & Whybrow, 2008). Jennifer is 48 years old and runs her own coaching business. She is married and lives with her partner and her two teenage sons. Jennifer is the youngest of four, with two brothers and a sister. Her parents divorced when she was eight and her father passed away in the year prior to the session that is reported in this case study. Jennifer has a degree in psychology and a diploma in coaching. In addition to her coaching skills, Jennifer had been studying art formally for several years at the time of this session. Jennifer is keen on continued learning and has undertaken various professional development courses (e.g., psychometrics, coaching, art therapy) over the past few years. 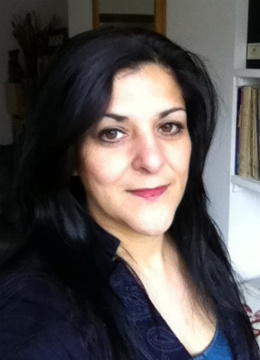 She has recently been exploring the possibility of introducing art therapy techniques to the coaching environment, particularly in group coaching settings. Jennifer was aware of her type preferences prior to the start of our coaching arrangement: Introversion, Intuition, Feeling and Judging (INFJ). Typically, INFJs look for meaning and purpose in what they do. They like to have a vision about how things should be and aim to gently relate to others according to this vision. They enjoy creativity and thinking about what makes people tick. One of the typical pitfalls is a tendency to become stressed and withdrawn when the world doesn’t fit the individual’s ideal vision. Jennifer fits this description well, and creativity, in particular, is a major driver for her. Jennifer’s Enneagram type is Four. Type Fours have an ego structure built around the fear of having no identity and therefore are driven by the need to find a true identity. For this reason, type Fours often have issues around identity, uniqueness, and self-expression (Riso & Hudson, 1996). These issues have been the themes of previous coaching sessions, particularly around the subject of authentic self-expression and feelings of alienation. The problem I’m having is that I’m trying to make a new start in the coaching that I do and bring the art stuff into business, but . . . (pause). I am really excited about it; however, as soon as I start thinking . . . Well, basically I don’t get to the stage of even really practically thinking about it. I seem to be getting in my own way and thinking that I can’t do it, and I have no ideas, and ‘Who am I to do anything like that?’ And actually I’m supposed to be creative but everyone else has more ideas than me. Stuff like that. I end up putting everything off, and not looking at my books, and not thinking about ideas, because it all seems too big and scary. This opening statement suggests inner tensions and identification with the ego image. From a psychodynamic perspective, I sensed feelings of anxiety and hypothesized that Jennifer may be using the ego defense mechanisms of suppression and/or displacement (I end up putting everything off, and not looking at my books, and not thinking about ideas). Identity issues are prevalent in this opening statement (I’m supposed to be creative) with Hannah’s ideal identity of being a creative person putting pressure on herself to perform. Therefore, this opening statement suggests that Jennifer’s issue can be interpreted as having a psychodynamic basis, and that a psychodynamic coaching approach with Jennifer’s Jung-Myers personality as a key focus would be a good way to continue the session. The statement, I’m supposed to be creative, preceded by self-deprecating comments, is suggestive of Horney’s theory regarding the conflict between one’s idealized self-image and the actual self. Horney suggests that anxious or neurotic individuals create a perfectionistic idealized self-image against which the actual self inevitably falls short (cited in Ryckman, 2000). This leads to unconsciously motivated self-loathing and self-hatred that, in turn, results in feelings of inferiority in comparison with others. She adds that “compliant” individuals (characterized by the need to be liked, wanted, appreciated, and guided by others) are likely to project these feelings onto others and believe that others despise them, resulting in the individual becoming shy, inhibited, and withdrawn (Ryckman, 2000). In relation to the Jung-Myers model, Jennifer’s auxiliary extraverted feeling (Fe) preference, being the mode in which she interacts with the outer world and with others, is likely to place her as a “compliant” type according to Horney’s theory, and this fits with her pattern of behavior. Additionally, the identification with the ego image ideal of creativity is a characteristic that is often connected to the INFJ type. Another hypothesis at this point is that, by attempting to force her creativity which she is likely to channel through her dominant introverted intuition (Ni), Jennifer is distorting this function such that the more negative qualities of introverted intuition—vagueness, becoming lost and muddled, and overwhelmed by thoughts and ideas (it all seems too big and scary)—may be overriding the positive aspects of the function. This exaggeration of and distortion of one’s dominant function is described in the first stage of Quenk’s (2002) theory of stress, in which she suggests that the individual under pressure over-relies on the dominant function to the extent that it begins to operate in an unbalanced and distorted manner, often alienated from support from the other functions. Although there were numerous options for how to proceed from this point, I decided to explore a positive aspect of the statement and ask about the excitement part of the idea. The intention was to harness the positive nature of Jennifer’s dominant function of introverted intuition. According to the Jung-Myers theory, individuals feel energized and motivated when operating in their preferred modes, and therefore targeting where the energy and excitement was experienced was a way of accessing the positive qualities of the dominant function. Jennifer began to talk about how the idea formed and where the inspiration came from, and then said, It seemed exciting because it seems I’ve never really felt like I completely fit in the business world, that maybe I’m not that easy to accept because I think people see me as a bit … (pause) … fluffy. This statement indicates a tension between Jennifer’s personality and her work persona, possibly arising from Jennifer having an archetypal image of a businesslike person that she was comparing herself to. Jennifer continued by saying that she believed that her Myers-Briggs Feeling preference was often the source of her perceived difficulties at work, and that I have to work hard to cover up quite a lot, to be accepted in a business environment, adding that that she believes that Feeling is female and that in business, you have to be quite male. Again, this was evidence of a pervasive archetypal image of a business person being used as the reference point. Partially, but that’s the blockage—I don’t know where to find it. It feels frightening. Everything’s an effort and I’d rather just want to go to bed. I feel stalled. It feels like too much work to do. I like the fact that art is intuitive and it just emerges, whereas this is effort. When there is full parity of the opposites, attested by the ego’s absolute participation in both, this necessarily leads to a suspension of the will, for the will can no longer operate when every motive has an equally strong countermotive (1990, p. 479). This hypothesis was supported when Jennifer added, I think I’ve disconnected the two things [business and art]. I’m not thinking about, ‘If I’m faced with working with people this is what I would do,’ I’m just thinking about building up credibility and that’s disconnected to the end result. In order to reconnect to this end result, a projected timeline visualization was suggested. Jennifer was asked to visualize herself using an art coaching technique on the actual project that she was considering using it for, and the intervention being well received and successful. Then working backwards again, we explored what knowledge or basis could have led to this successful outcome. At this point Jennifer realized that psychological knowledge about people was the key skill for success in this area, and that she already possessed this—Actually, it’s knowledge about people, isn’t it? Moreover, she gained insight into how she could make the artistic approach meet the business world; she realized that she could communicate her idea and approach in terms of the objectives and benefits it would bring, therefore taking a Thinking approach to framing it that she felt was a better fit to business—I need to start at the other end. What are the objectives? What tasks could get people engaged? This led to a solution being formulated about how Jennifer could resolve the perceived mismatch between the task, her personality, and the working environment. The technique of visualization, which is widely used in psychosynthesis counselling (e.g., see Assagioli, 1975), has its roots in psychodynamic psychology. Looking at this intervention from the perspective of the Jung-Myers model, the technique of visualization was a good fit with Jennifer’s preference for introverted intuition, and allowed Jennifer to see herself playing to her natural strengths and motivations. Theoretically, this exercise should have reduced the tension that she was holding between her opposing functions and, therefore, allowed the Thinking preference to come forward more naturally and with the positive aspects of the preference coming through. Although Jennifer had gained some clarity about how to take this particular project forward, the session continued on to look at Jennifer’s apparent blocks to creativity. First, Jennifer was asked to clarify what the word “creative” actually meant to her, and she responded: Having ideas. Being able to come up with good ideas. I might be able to come up with ideas but not quickly. I need something to help me get to ideas; I don’t just come up with them. I need something to connect things to. They expected me to come up with ideas there and then, and I came up with nothing and felt uncreative. It was clear from these statements that Jennifer was comparing her preference of introverted intuition to the other women’s preferences for extraverted intuition (Ne). The process of generating ideas would be markedly different for each, with extraverted intuitives very quickly generating many ideas based on initial inspirations until they begin to formulate the one that may be most useful, and introverted intuitives getting the seed of one single idea, and then letting it develop by thinking about how it relates and connects to other things. As Jennifer was familiar with type theory, this was explored with her in relation to the description of her own process provided earlier and in the context of type theory. This small section of the coaching session illustrates the importance of the type practitioner being aware of the type dynamics aspect of the theory. Coach: So there are times where you are definitely experiencing more creative flow going on? Jennifer: Yes, and it is when I am least expecting it. This exchange was of particular interest as, once again, it illustrated that being in a more relaxed state (i.e., less inner tension) could naturally lead to creative ideas being generated. It may also be interpreted as an expression of the transcendent function. According to Jung when there is energic tension between the functions, a third function will arise: “Since life cannot tolerate a standstill, a damming up of vital energy results, and this would lead to an insupportable condition did not the tension of opposites produce a new, uniting function that transcends them” (1970, p. 479). He postulated that the transcendent function often appears in a symbolic form, sometimes in the form of dreams, and that it can appear when we are not consciously looking for it, e.g., after meditation, resting, taking a break from the problem, upon waking. Jennifer’s natural flow of ideas when relaxed could also be connected to the idea of the ‘flow state’ (Csikszentmihalyi, 1990) used in current positive psychology psychodynamic theories. It seemed appropriate at this point to explore the differences between Jennifer’s creative ‘blockage’ state and this ‘creative flow state’ using an empty chair technique (Perls, 1977). This a technique that is widely used in various forms of coaching from the ‘therapeutically informed’ area such as psychodynamics, Gestalt, and psychosynthesis as it aims to provide insight into the individual’s inner processes. (Similar techniques are also often used in goal-focused approaches such as NLP with the aim of anchoring a particular state). Two chairs were set up and Jennifer was asked to envisage one as being the chair that contained all the feelings regarding creative flow, and the other chair containing the feelings of creative blockage. Jennifer first sat in the creative ‘blockage’ chair and described it as having a feeling of nothingness. She had no access to the external world, could not think, and experienced no feelings: I feel really immobile. No just … I can’t do it … I can’t think. I have no access to it [the external world]. I’m just in my own world of nothingness. When in the ‘creative flow’ chair, Jennifer’s posture and energy changed immediately: she was sitting upright and seemed more alert, yet more relaxed. She described the change in herself as being more aware, physically free, happier, and feeling like things were possible: I can see the trees. I can move my shoulders, I feel happier. I feel like things could be possible. It’s relaxing. When asked to explore what the difference between the two states was, Jennifer stated that in the ‘creative flow’ chair there was no judgment from within, and went on to describe how she could sense a feeling of opening or lightening in her heart area. Jennifer was asked to look at the empty ‘blockage’ chair from her position in the ‘creative flow’ chair and describe what was there. She described it as a weight, a heaviness, and a constraint, adding that it seemed to have a container over it to prevent [her from] seeing out. Exploring whether she could sense any benefits or qualities of this, Jennifer stated that it seemed to have some use in terms of logic or practicality, but that it was like putting a blindfold, earmuffs, and straightjacket on. It is like being wrapped up. Maybe it’s kind of a protective thing but it’s gone too far. […] This is where I go when I feel really terrible. There’s no point. It’s just numb. I think that’s from other stuff. Because ‘no point’ was when my dad was poorly. I think since then all the problems I’ve had with coaching and stuff have been about that. I just work from ST [Sensing and Thinking] because I can’t do the NF [Intuition and Feeling] stuff in coaching. In response to being asked what Jennifer would need to get from ‘blocked’ to ‘creative flow,’ she replied that she needed to take off the bandages. This was an interesting use of language (bandages), suggesting that there was some sort of protective element to the personality characteristics that she was adopting in the ‘blocked’ position. There were several possible options for why Jennifer had been finding herself operating from the Sensing and Thinking (ST) preference modes. It could have been a ‘grip’ response to stress (Quenk, 2002) in which the non-preferred aspects of the personality take charge but are driven by unconscious energy, and are therefore not consciously controlled or directed, nor are they productive. Alternatively it could have been that Jennifer was protecting herself using the ego defense mechanisms of intellectualization (the disassociation of painful thoughts and feelings by taking a logical and detached viewpoint) and/or repression (the ego’s unconscious attempt to prevent undesirable impulses from reaching consciousness). By repressing her natural preferences, the opposing styles were able to come to the fore; however, they were operating under considerable energic tension. We continued to work with the ‘bandages’ image and Jennifer realized that the bandages had helped her to engage with people following the loss of her father without exposing her pain and making them feel uncomfortable. In exploring why the ST personality was still clinging on, Jennifer realized that without it she felt vulnerable and exposed. This part of the session introduced personal issues, as opposed to work issues, as a key influence on Jennifer’s current level of functioning, as her father’s death had been the trigger for the blockages and tensions that she was experiencing. I feel that this chakra [pointing to the heart] feels really satisfied and opened. (Pause) I feel quite hopeful. And I feel pleased that I’ve acknowledged that part, because I think I’ve just been angry at it. (Pause) Because it felt like it denied me from doing something that I loved, which I thought was coaching, but actually it’s this whole new idea. The aim of this case study was to illustrate how setting psychological type back into the Jungian context (the ‘Jung-Myers’ model) enables it to be used synergistically with psychodynamic coaching to successfully provide insight and resolution to a client. In terms of the Jung-Myers model, knowing Jennifer’s Myers-Briggs type helped to inform what was congruent or incongruent with her authentic self and motivations during the session. Being able to then apply theories from the Jung-Myers model–the type dynamics, energic tensions, archetypal influences, transcendent function, unconscious aspects of the psyche–and to combine these with other aspects of psychodynamic theory enabled the use of psychodynamic coaching techniques. This session began with a goal-oriented presenting problem (i.e., a blockage to creativity), and a goal-focused approach to the session may well have resulted in an effective goal-oriented action plan. However, taking a systems-psychodynamic approach led the session to a more transformational outcome. Although a goal-focused approach may have resulted in an action plan, the effect may not have been lasting or transferable to other issues without attending to the underlying issues and psychological/personality issues present. Additionally, there would have most likely been unconscious resistance to carrying out the action plan. Obviously, not all coaching interventions using the Myers-Briggs instrument will need to use a Jung-Myers approach. Nevertheless, an awareness of the Jung-Myers model enables more extensive use of the MBTI tool in coaching, if and when required. One obstacle to using this model may be the ability of the coach to master a range of psychodynamic theories. In addition to being aware of the Myers-Briggs model, including type dynamics and type development, the coach would need to at least be familiar with Jung’s concept of the psyche and the nature of psychic energy, Quenk’s theory of stress, and Freud’s (1946) theory of ego defense mechanisms. This may require coaches to consult a range of sources. Typically, psychodynamic interactions would also make reference to any transference or counter-transference. However in this case, other than the methods of ‘using one’s own feelings as data’ (which in itself is a function of countertransference), there was little new transference information to work with that had not been addressed in previous sessions with Jennifer. Future research using the Jung-Myers model in coaching could explore its efficacy in other styles of coaching such as those from the goal-focused paradigms. 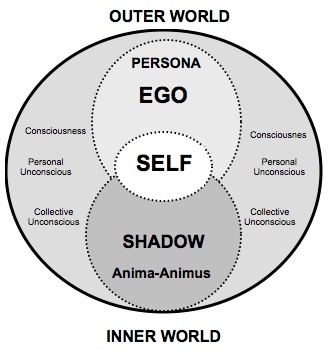 Also, cases that illustrate other aspects of the Jung-Myers model may be of interest, for example the tensions between the persona and the true self, or the intrusion of the shadow aspects of the ego. Assagioli, R. (1975). Psychosynthesis (2nd ed.). London: Turnstone Books. Briggs-Myers, I. & Myers, P.B. (1995). Gifts differing (2nd ed.). Palo Alto: Davies Black. Freud, S. (1946). The ego and the mechanisms of defense. New York: International Universities Press. Jacobi, J. (1973). The psychology of C.G. Jung (English ed.). Michigan: Yale University Press. Jung, C.G. (1978). Aion: Researches into the phenomenology of the self (5th ed.). Princeton: Princeton University Press. Jung, C.G. (1981). The structure and dynamics of the psyche (5th ed.). Princeton: Princeton University Press. Jung, C.G. (1990). Psychological types (9th ed.). Princeton: Bollingen. Kwiatkowski, R. (2007). Inside-out and outside-in: the use of personality and 360 degree data in executive coaching. In H. Brunning (Ed. ), Executive coaching: Systems-psychodynamic perspective (pp. 153-182). London: Karnac. McDowall, A. & Smewing, C. (2009). What assessments do coaches use in their practice and why? The Coaching Psychologist, 5(2), 98-103. Myers, I. B., McCaulley, M. H., Quenk, N. L., Hammer, A. L., & Mitchell, W. D. (2009). MBTI Step III manual: Exploring personality development using the Myers-Briggs Type Indicator instrument. Mountain View CA: CPP, Inc.
Neumann, J. E. & Hirschhorn, L. (1999). The challenge of integrating psychodynamic and organizational theory. Human Relations, 52(6), 683-695. Perls, F. S., Hefferline, R., & Goodman, P. (1977). Gestalt therapy: Excitement and growth in the human personality. The Gestalt Journal Press. Quenk, N. (2002). Was that really me? California: Davies-Black Publishing. Riso, D. & Hudson, R. (1996). Personality types: Using the enneagram for self discovery (Rev. ed.). New York: Houghton Mifflin. Roberts, V. Z. & Brunning, H. (2008). Psychodynamic and systems-psychodynamic coaching. In S. Palmer & A. Whybrow (Eds. ), Handbook of coaching psychology: A guide for practitioners. Sussex: Routledge. Ryckman, R.M. (2000). Theories of personality. Belmont: Wadsworth-Thomson Learning. Sharp, D. (1987). Personality types: Jung’s model of typlogy. Toronto: Inner City Books. Spoto, A. (1995). Jung’s typology in perspective (2nd ed.). Illinois: Chiron Publications. Stein, M. (2004). Jung’s map of the soul (6th ed.). Illinois: Open Court. I definitely really liked every part of it and i also have you bookmarked to see new stuff on your blog. Angelina Bennet is a Chartered Occupational Psychologist who specializes in developing individuals through personality work. She is the Director of I Potential Ltd, a consultancy based in the UK that focuses on coaching, development, and assessment, with particular expertise in the Myers-Briggs® assessment. Her other areas of interest include psychosynthesis and the Enneagram. The author of The Shadows of Type–Psychological Type at Seven Levels of Development, she is currently completing a Professional Doctorate in Occupational Psychology.